1. Toothpaste: A lot of women say that toothpaste works like magic in treating breakouts and reducing the size of pimples. Toothpastes like Colgate, Pepsodent, Sensodyne can dry out pimples overnight but they cannot completely make them vanish. Just remember that you have to do spot treatment and apply the toothpaste on top of your pimples and not all over the face. Toothpaste contains ingredients like baking soda, hydrogen peroxide, menthol, triclosan, alcohol, etc., and while these ingredients dry out pimples, they can cause irritation too, so be careful with application. 2. Eye drops: Yes, eye drops can treat pimples! Like toothpaste, eye drops can lessen the appearance and reduce the size of the pimples, but cannot completely get rid of them overnight. The medicinal ingredients in eye drops reduce the inflammation and redness of acne and make them less prominent. I use Ikul and sometimes Itone. 3. Ice: Ice can work superbly to calm down angry red eruptions. Rub ice cubes gently over your pimple at regular intervals through the day and notice how the inflammation and redness gradually goes down. 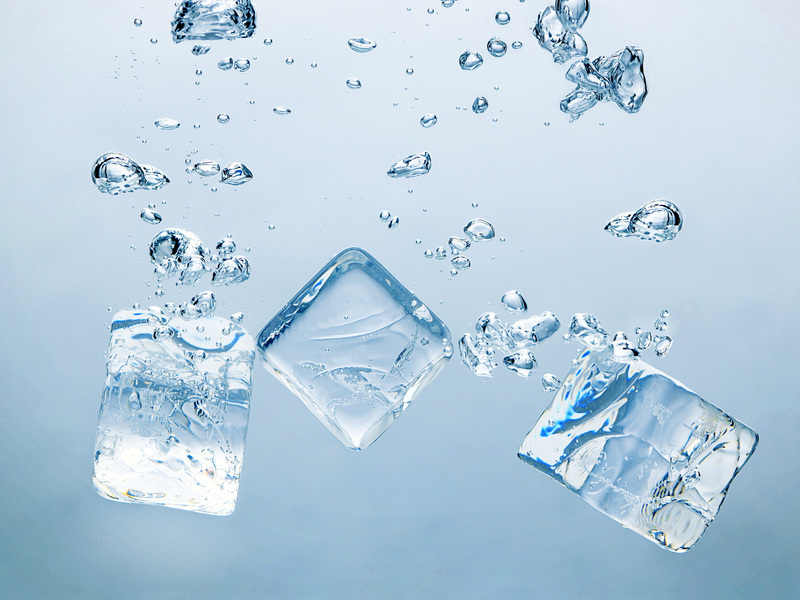 You can also make mint ice cubes by freezing mint juice in ice trays. This way, you would be able to get rid of the pimple quickly. 4. Apple Cider Vinegar: Many people vouch for the benefits of apple cider vinegar. Apple cider vinegar is great for skin because it restores the acid mantle of our skin that protects are skin against bacteria and pollutants. Apple cider vinegar also has anti-bacterial properties. Like I mentioned previously, start with spot treatment of your pimples, don’t dab it all over face though you can use apple cider vinegar as a toner if you dilute it properly. 5. Neosporin: Our first aid boxes are incomplete without neosporin onitment. Did you know neosporin can not only heal pimples, it can also prevent scarring. You should use neosporin strictly as a spot treatment because it can disturb the pH balance of your skin. The anti-bacterial formula acts effectively to treat pimples overnight. 6. Turmeric: It is a wonder ingredient for all beauty problems. Turmeric is a natural antibiotic and can act against bacterial and fungal infections. Turmeric when used in raw form can reduce the appearance of pimples and acne considerably. You can either use it as a spot treatment or make face packs out of it with honey and curd. 7. 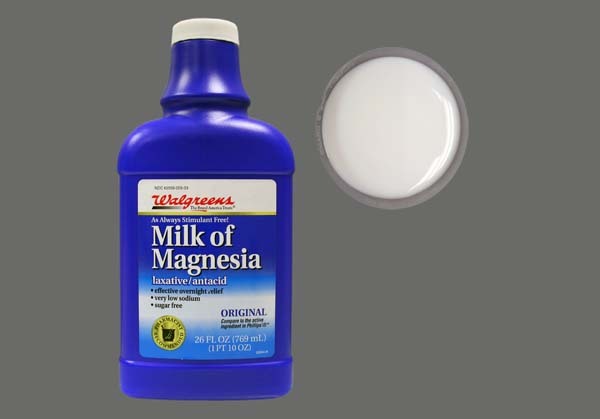 Milk of magnesia: Milk of magnesia is a laxative and used to treat stomach problems, but you can use it to calm and soothe acne eruptions. Milk of magnesia has magnesium hydroxide and zinc that works to treat acne. 8. Baking Soda: Baking soda corrects the pH balance of the skin and also has anti-inflammatory and anti-bacterial properties that act against acne breakouts to reduce inflammation and fight bacteria. 9. Banana Peel: Hmmm, so now this sounds interesting! Don’t throw banana peels away if you suffer from acne. Banana peel has minerals and vitamins and also antiseptic properties that can fight acne. Rub the inside of banana peel on your entire face, leave it overnight. Do this for a week and see the amazing results. 10. Honey: It’s a magic potion. Honey has antibacterial and healing properties. You can use it as a spot treatment or all over face or mix it with other potent ingredients to make face packs. Honey soothes and calms down inflammation and the antibacterial properties fight to reduce the appearance of acne. Can Turmeric Remove Dark Spots? woah those some great tips. will try the toothpaste one for the breakouts I get once in awhile! this is an amazing post jomo.i have tried ice cubes and toothpaste . I find the banana peel and eye drops technique interesting..Now that my skin is in the worst condition ever, I need everything and anything that works. I have tried ACV for a week and the situation has become worse than before… I cannot understand…. what should i do..